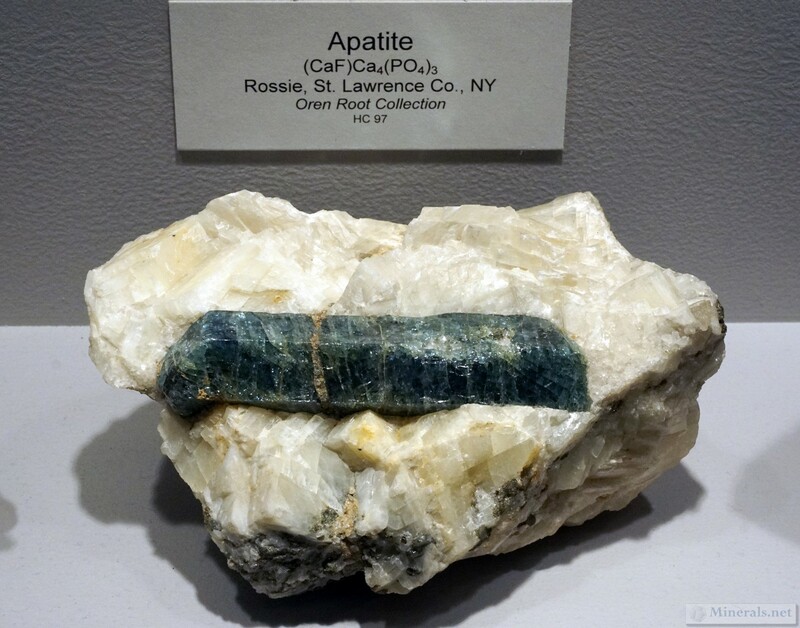 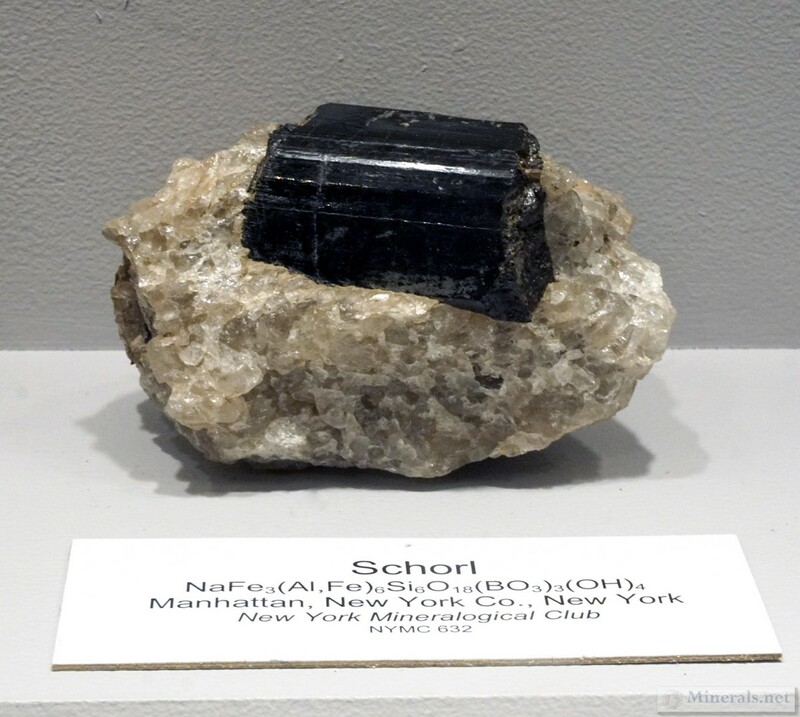 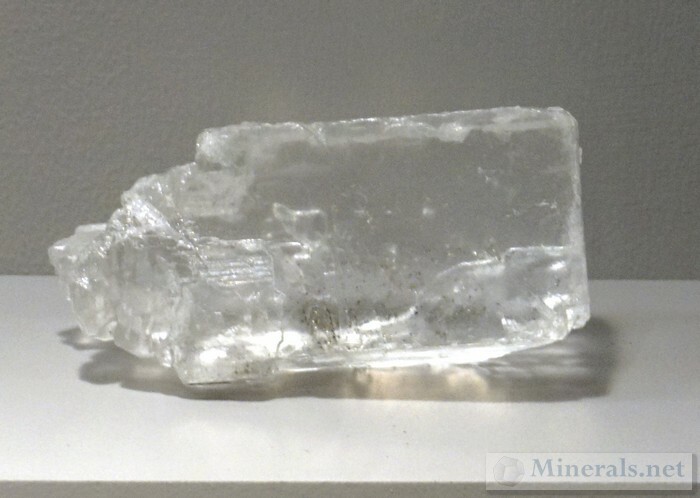 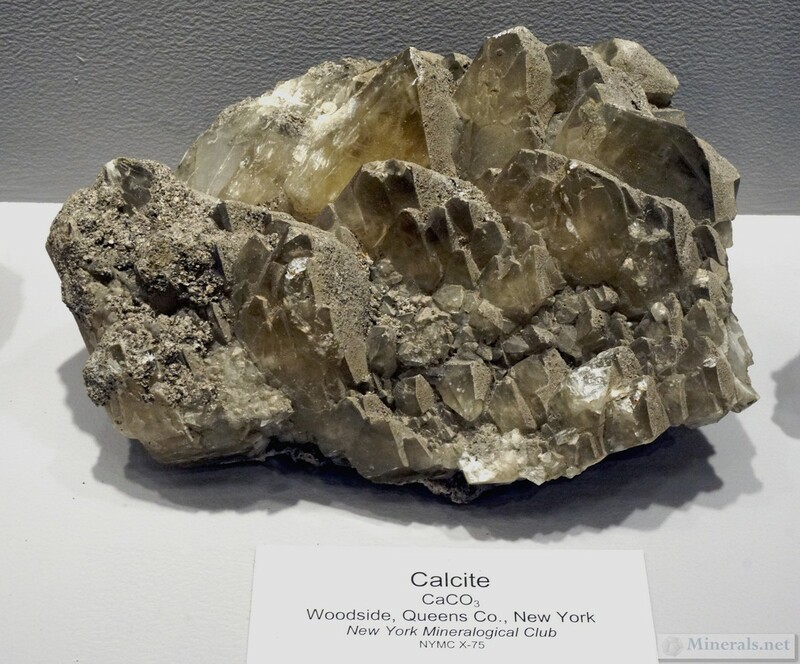 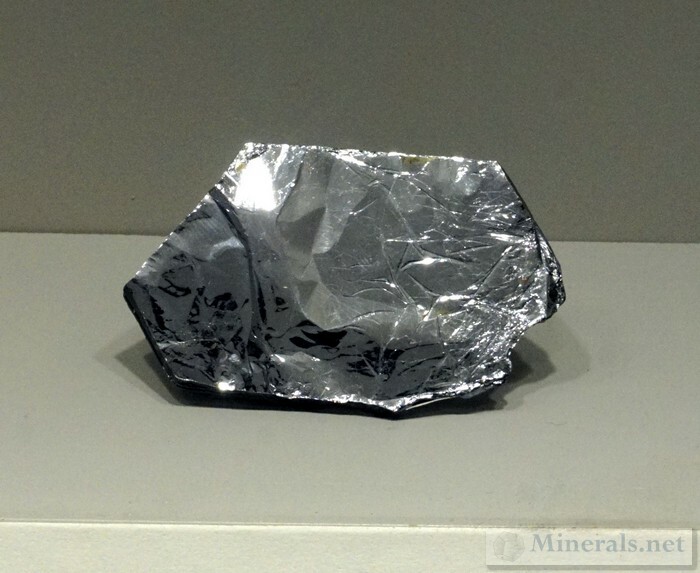 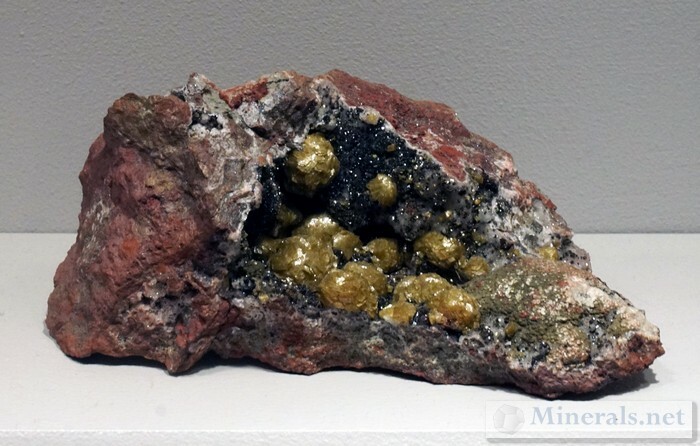 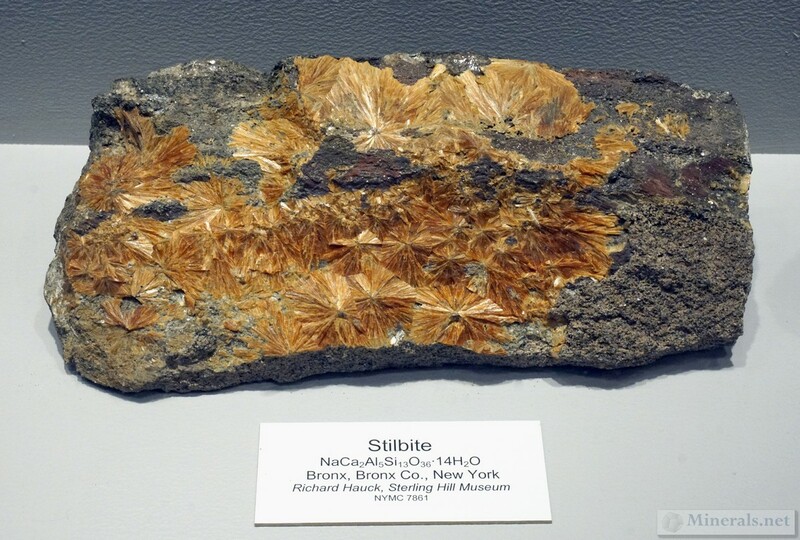 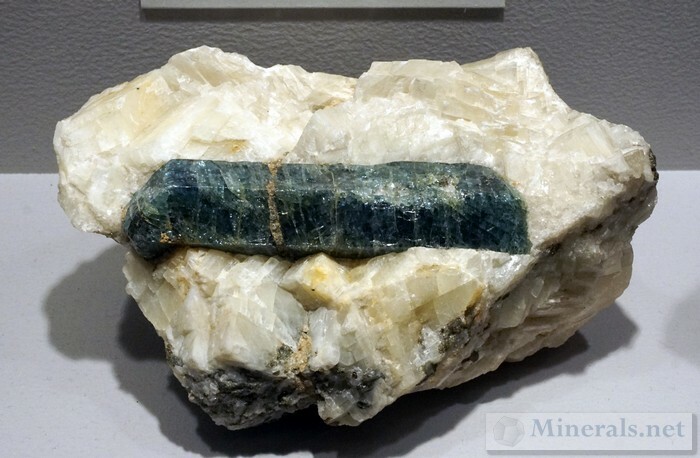 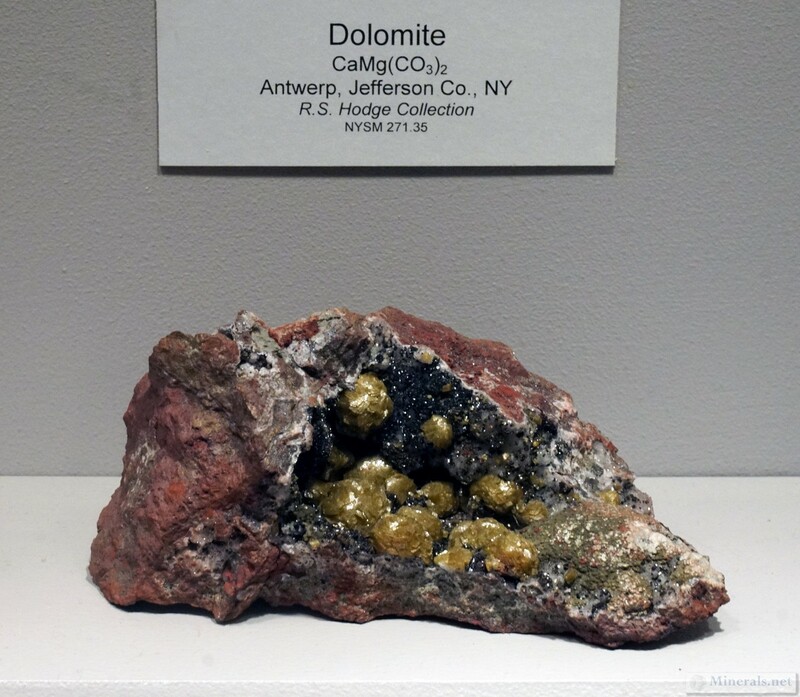 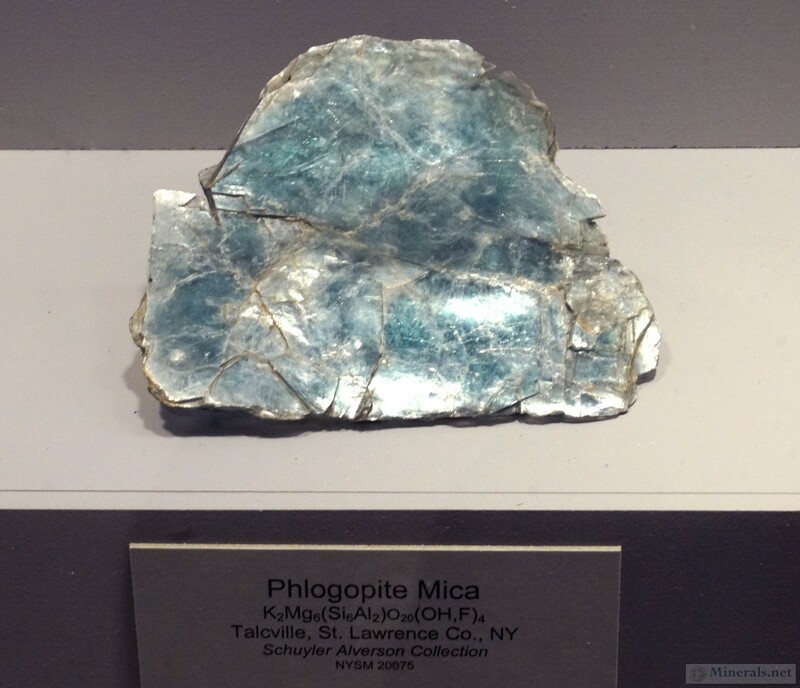 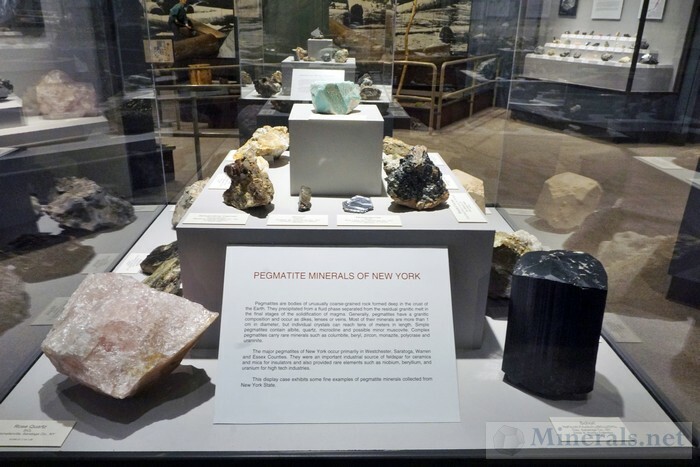 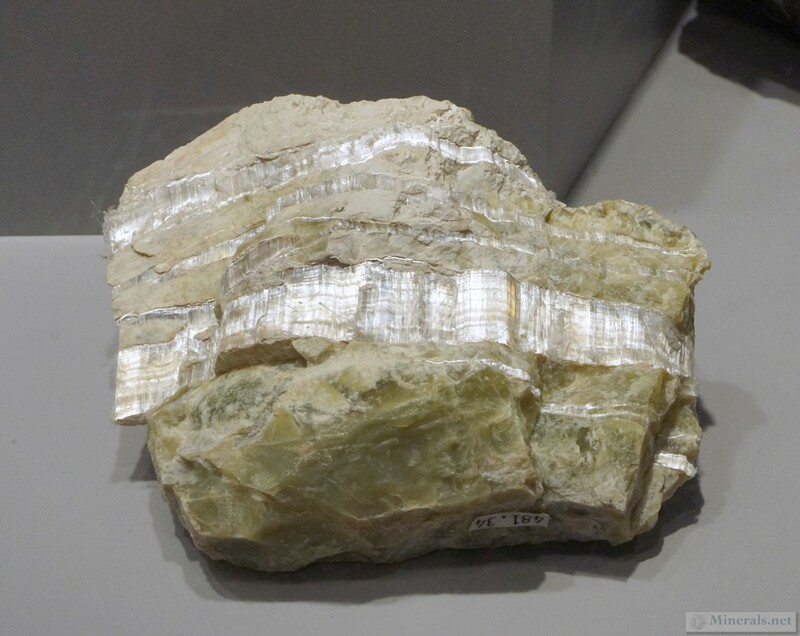 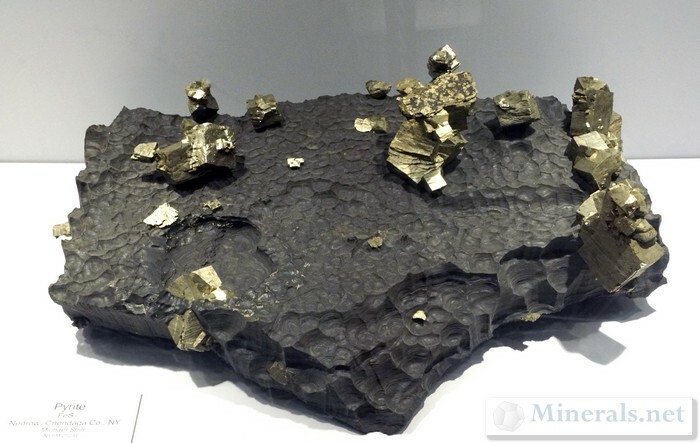 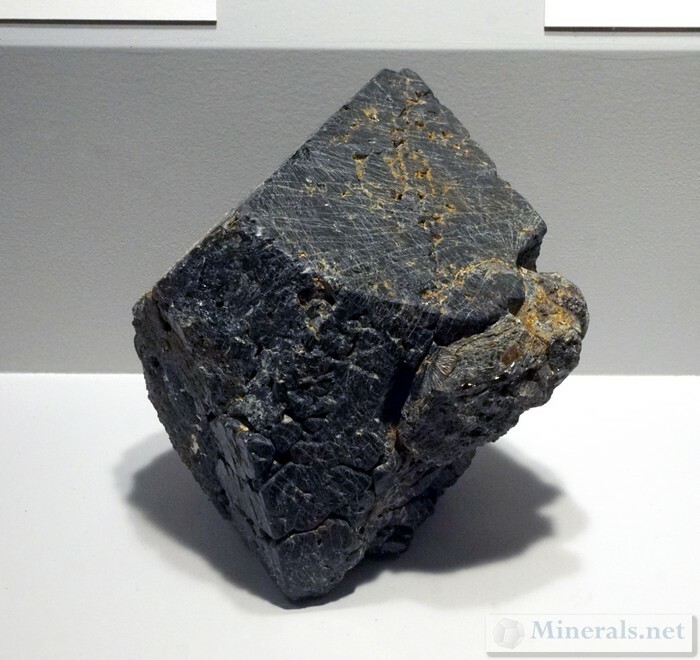 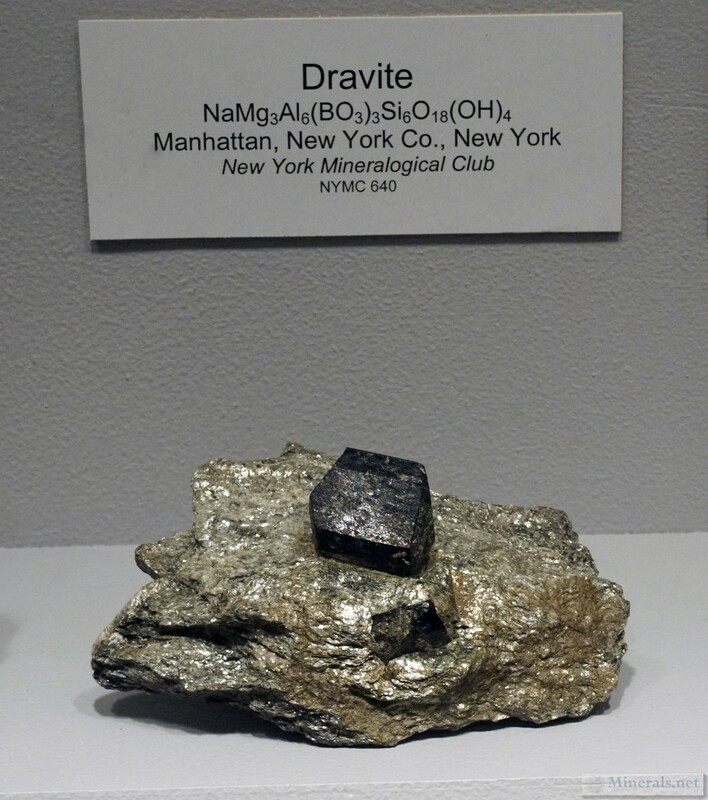 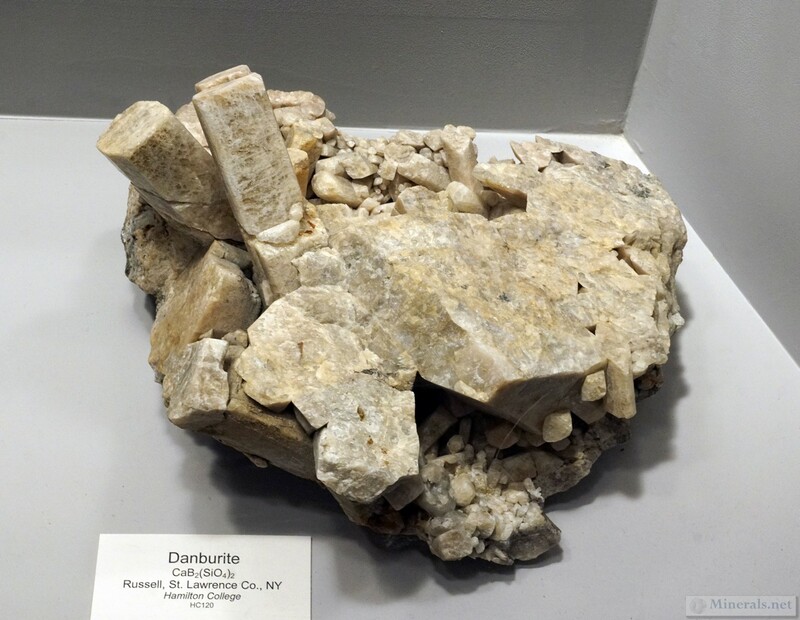 This post shows the minerals of New York City at the New York Museum in Albany. 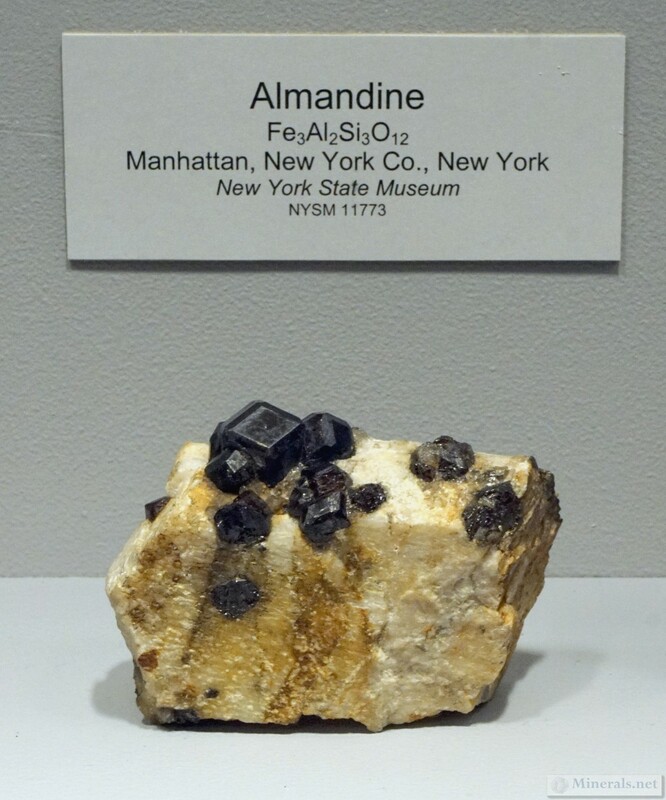 New York City has a surprising variety minerals, with 130 species confirmed. 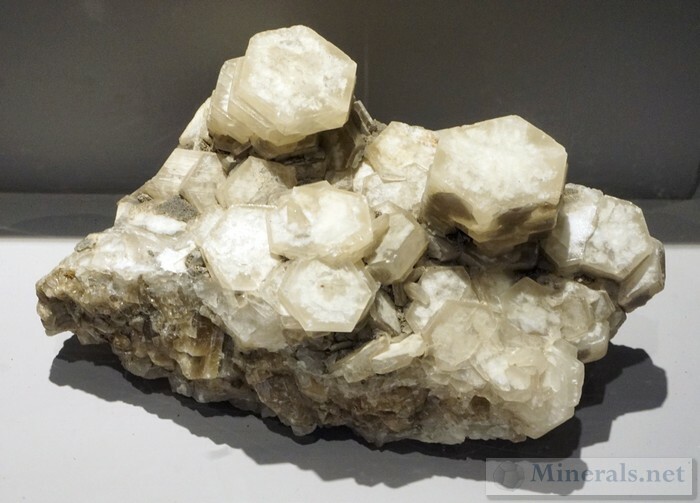 Many of the mineral finds have occurred in the vast construction projects, especially in the late nineteenth and early twentieth centuries. 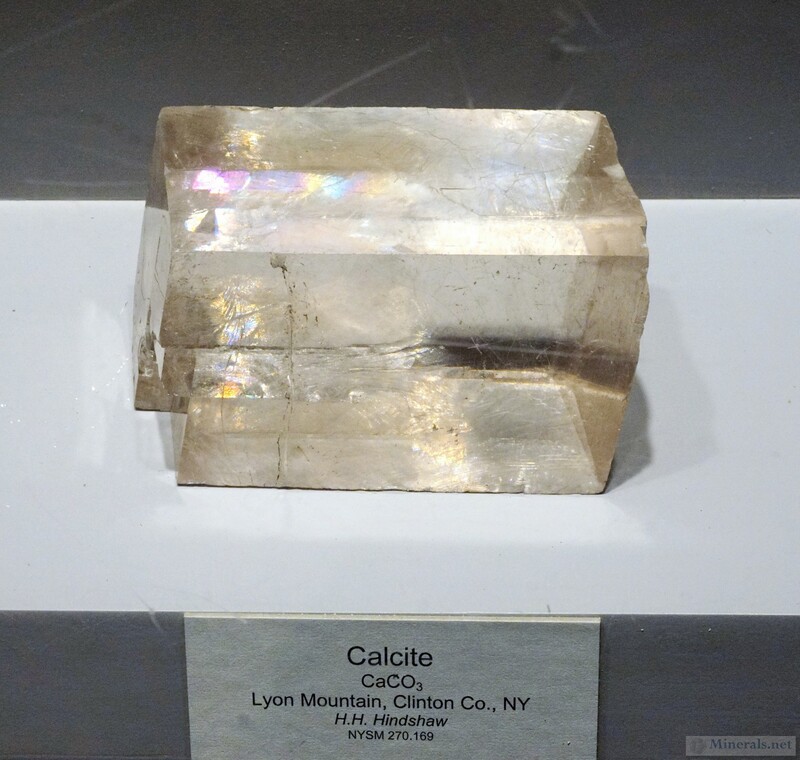 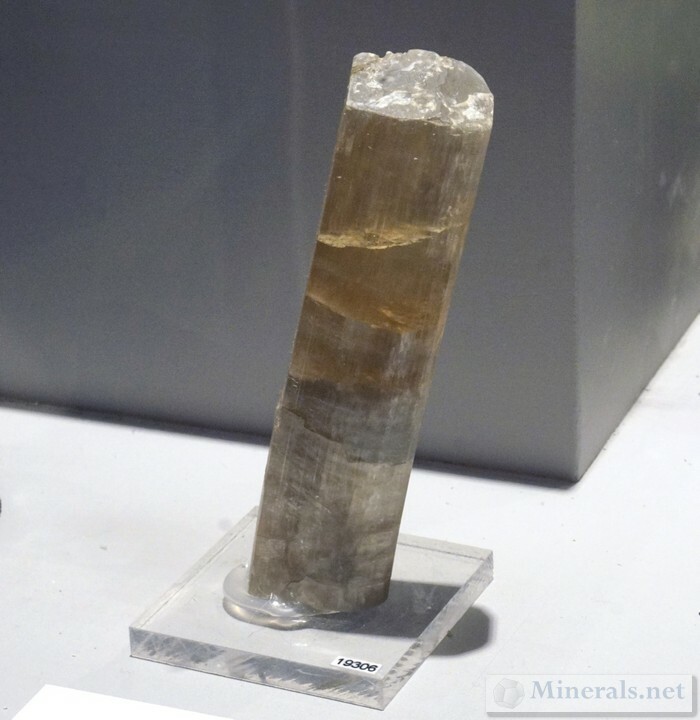 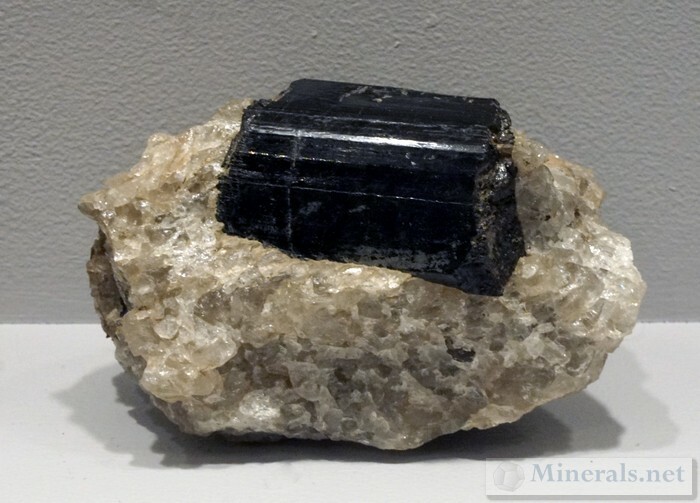 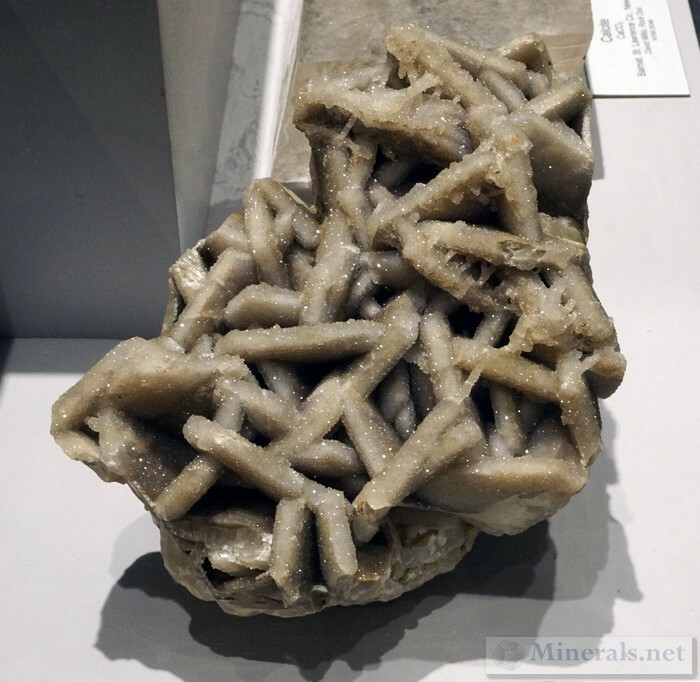 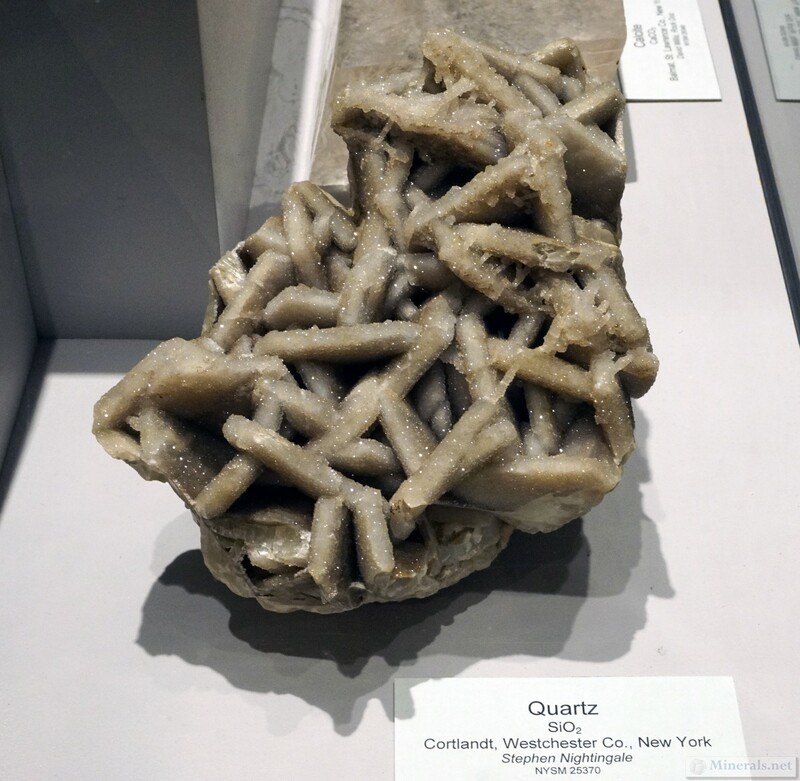 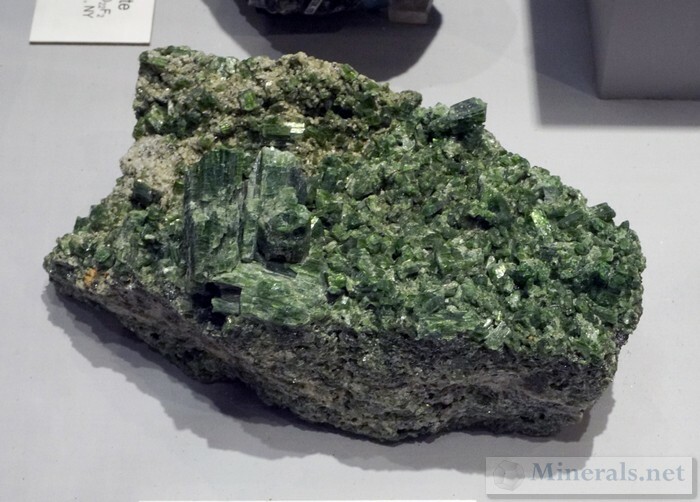 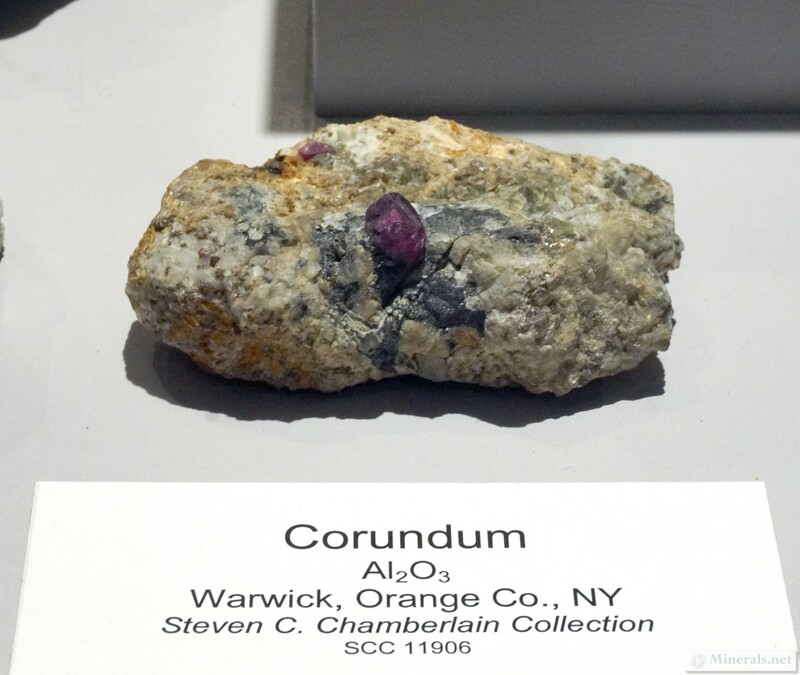 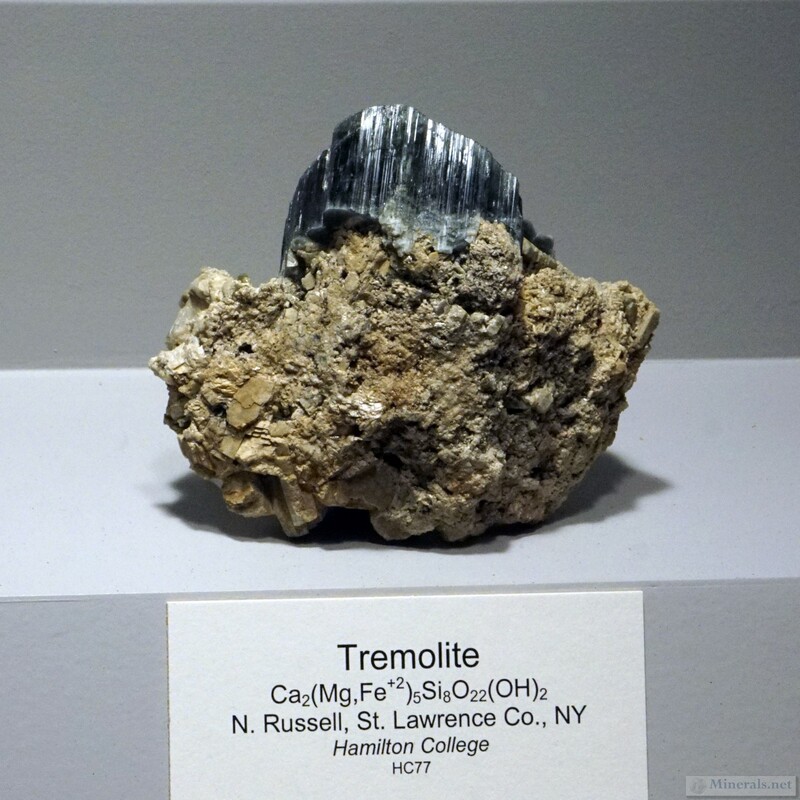 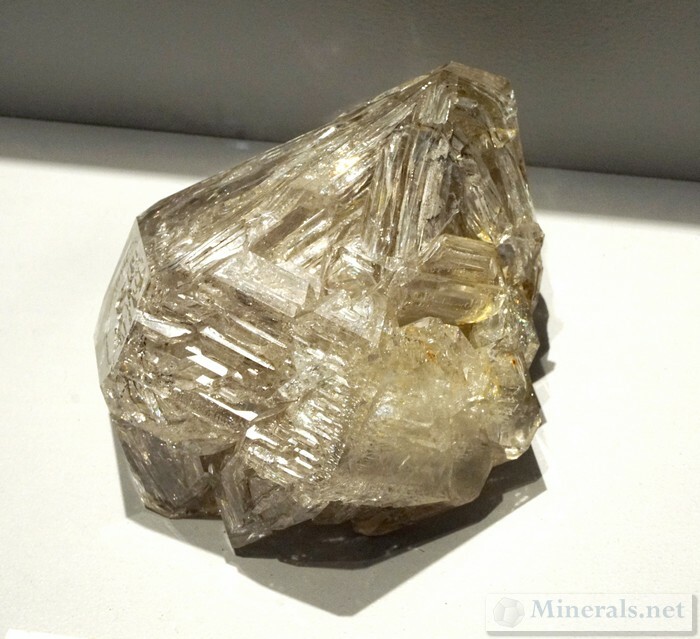 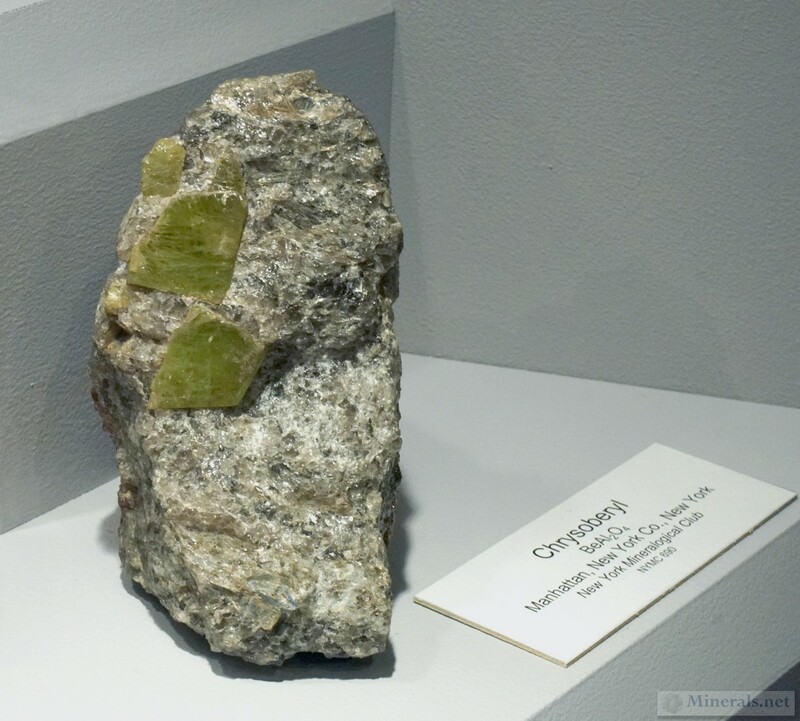 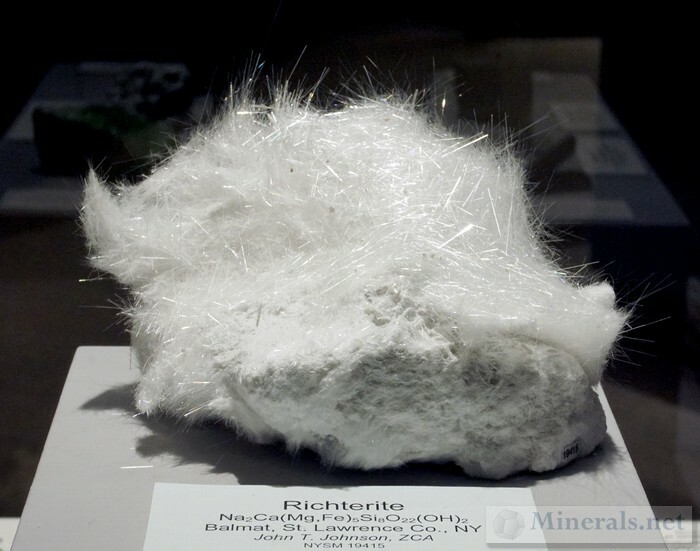 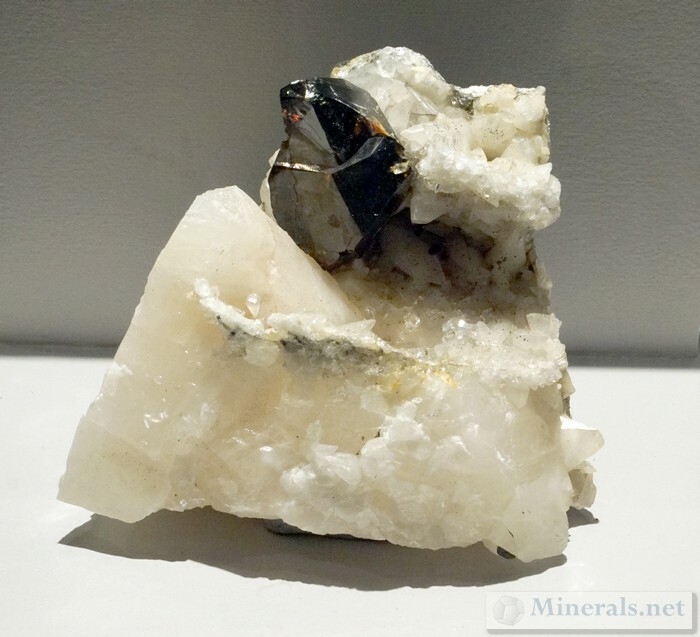 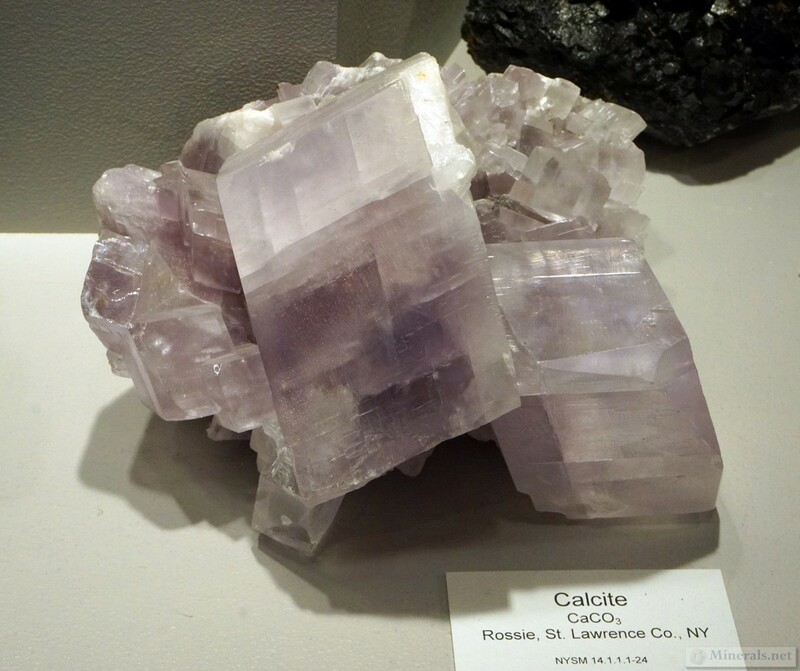 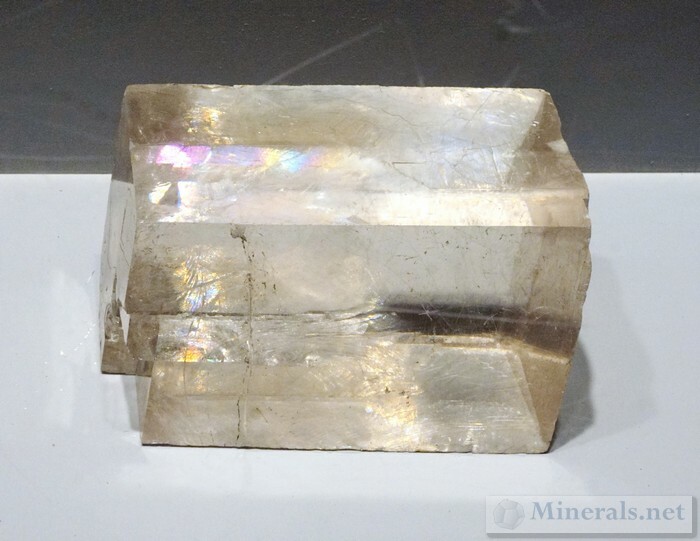 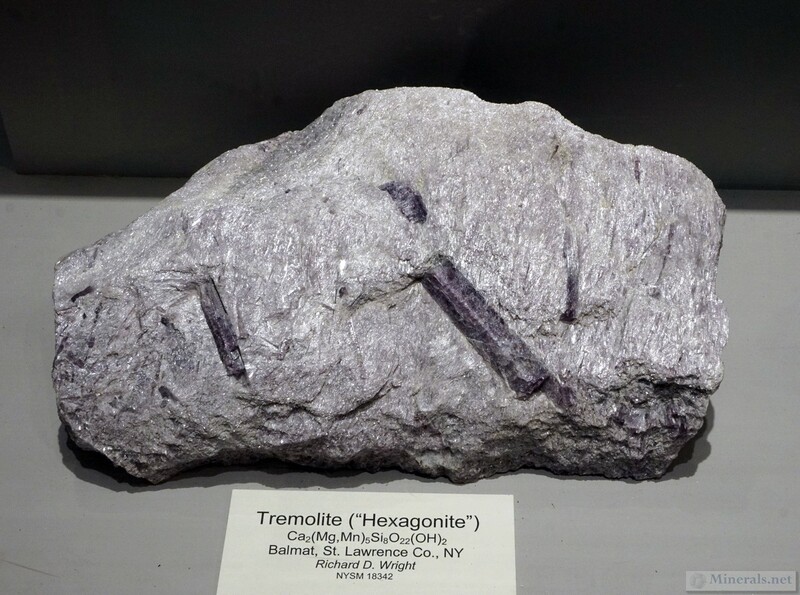 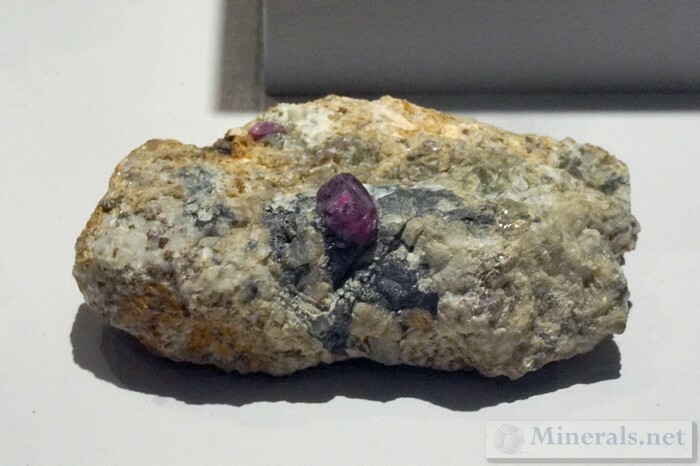 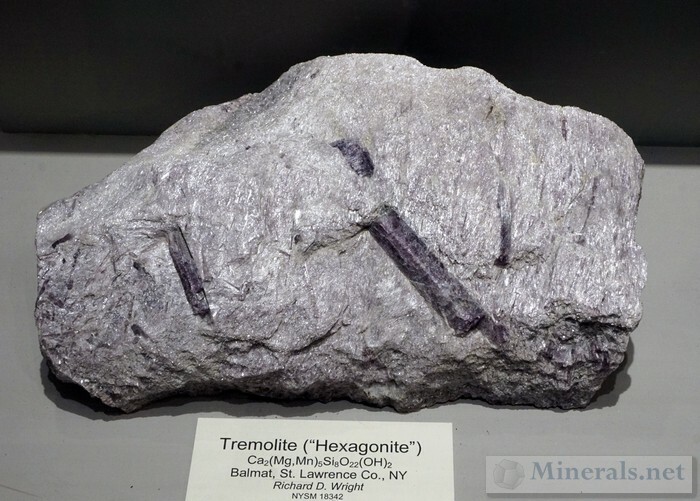 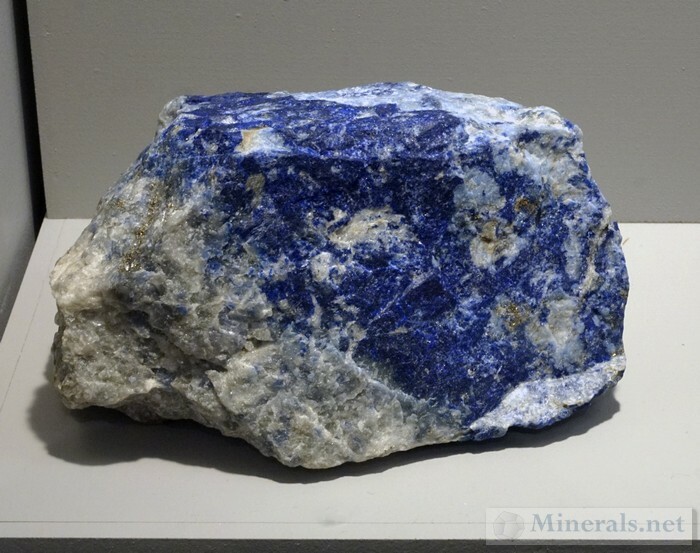 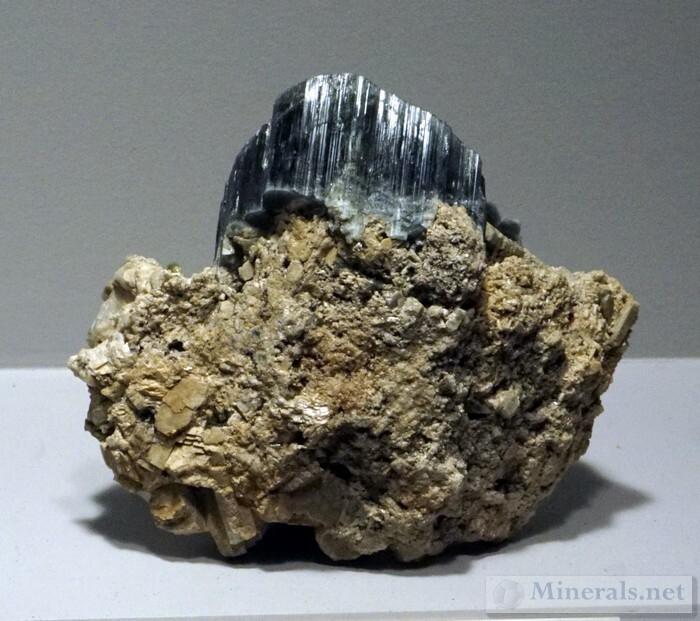 This post is a continuation of the previous post on the individual minerals on display in the New York State Museum in Albany. There is no particular order to the photos other than the sequence that I took the photos in as I approached the displays. When I visited the New York State Museum in Albany in August, I took many photos of the individual minerals in the display cases. 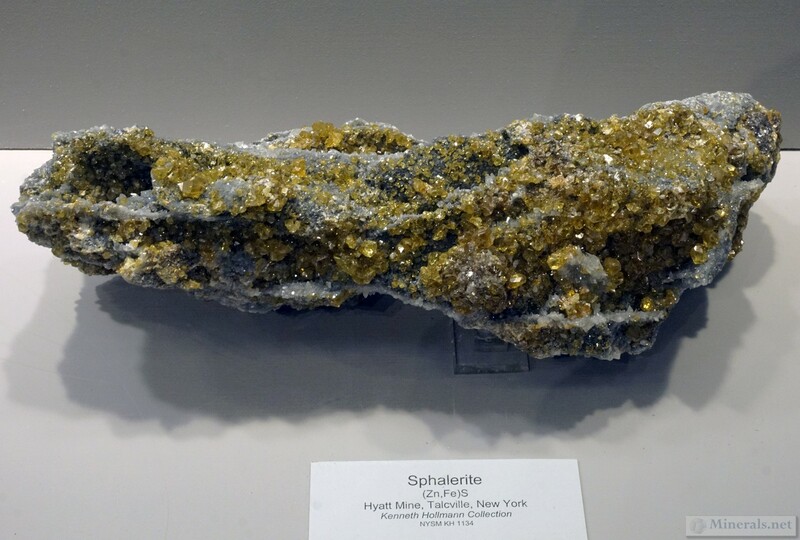 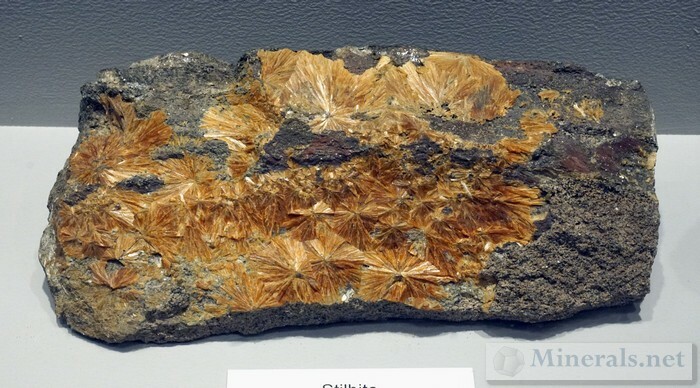 This second post on the New York State Museum shows some of those minerals that I had photographed. 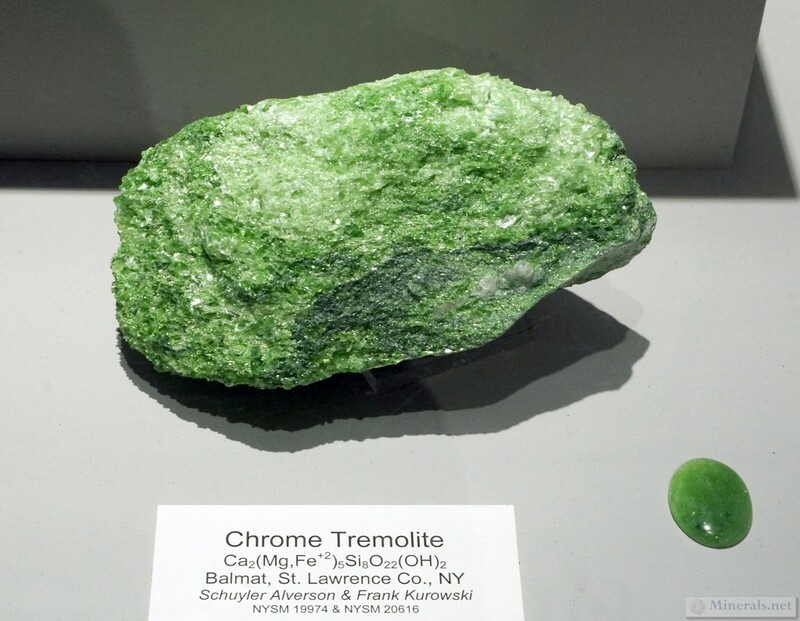 Click the photos to enlarge them. 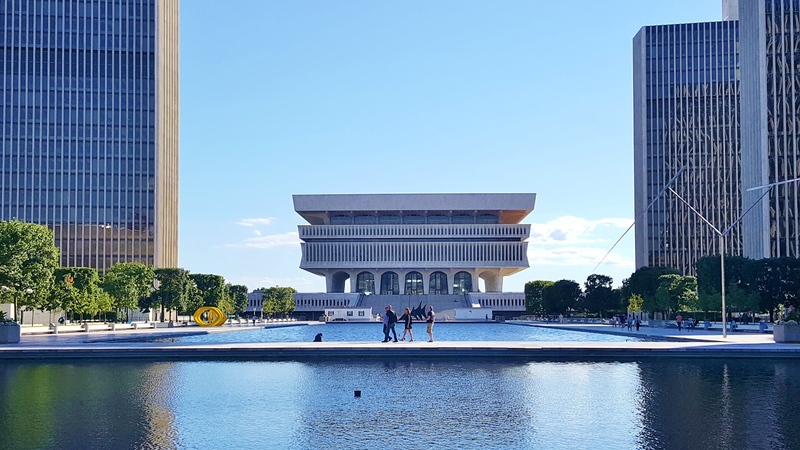 The New York State Museum is a large museum in Albany, located in the Empire State Plaza complex, near the State Capital and other government buildings. 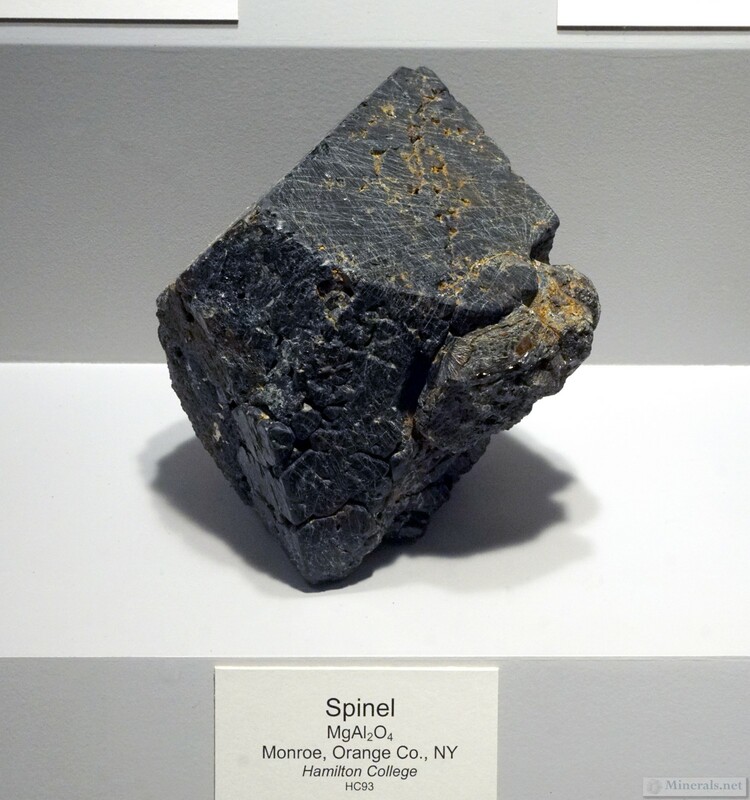 The museum contains art, relics, and specimens that reflect the cultural, natural, and geological development of the State of New York. 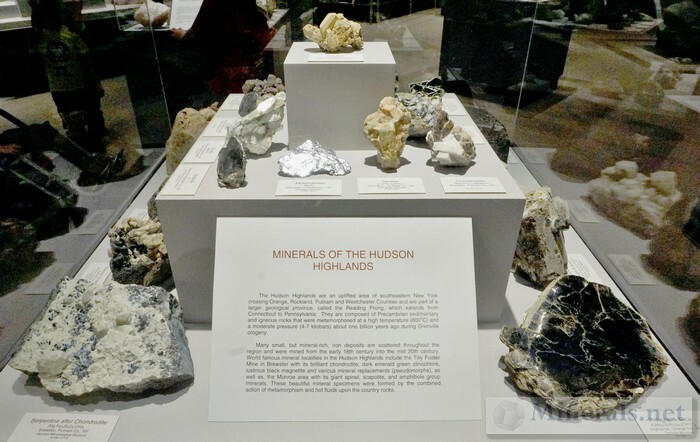 The museum was founded in 1836, and is the oldest and largest state museum in the country. Its collections rank among the finest in many fields, and according to the museum's website, it contains more than 16 million scientific specimens, and over a million cultural objects. 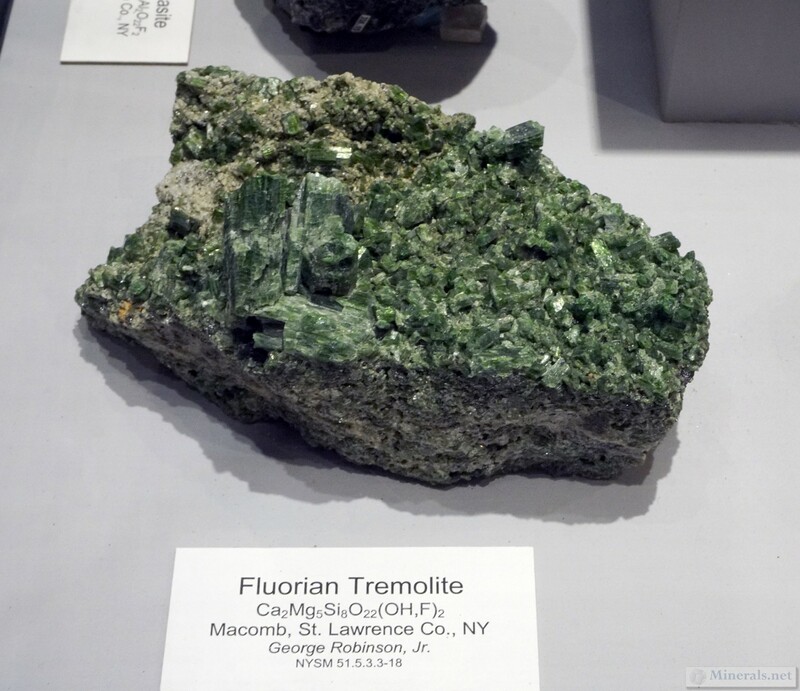 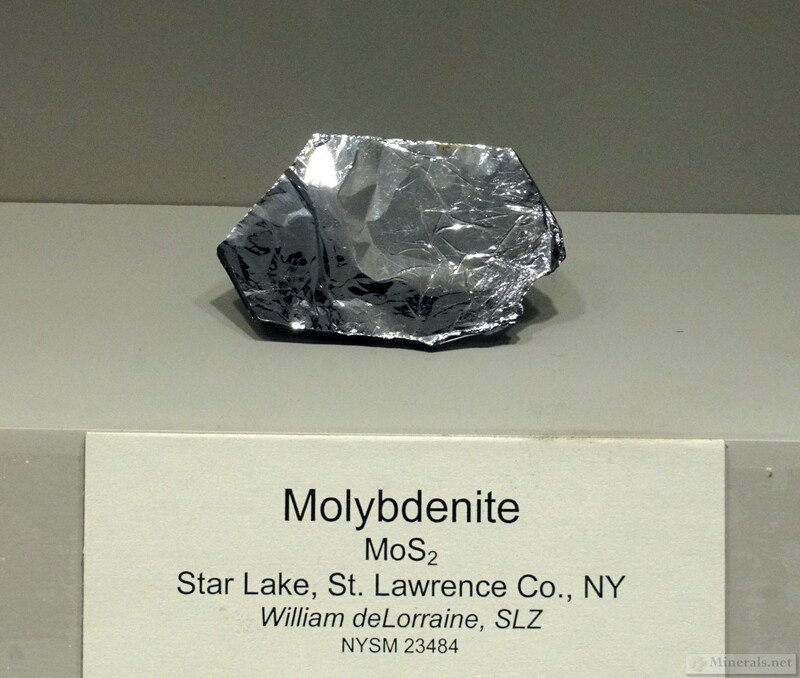 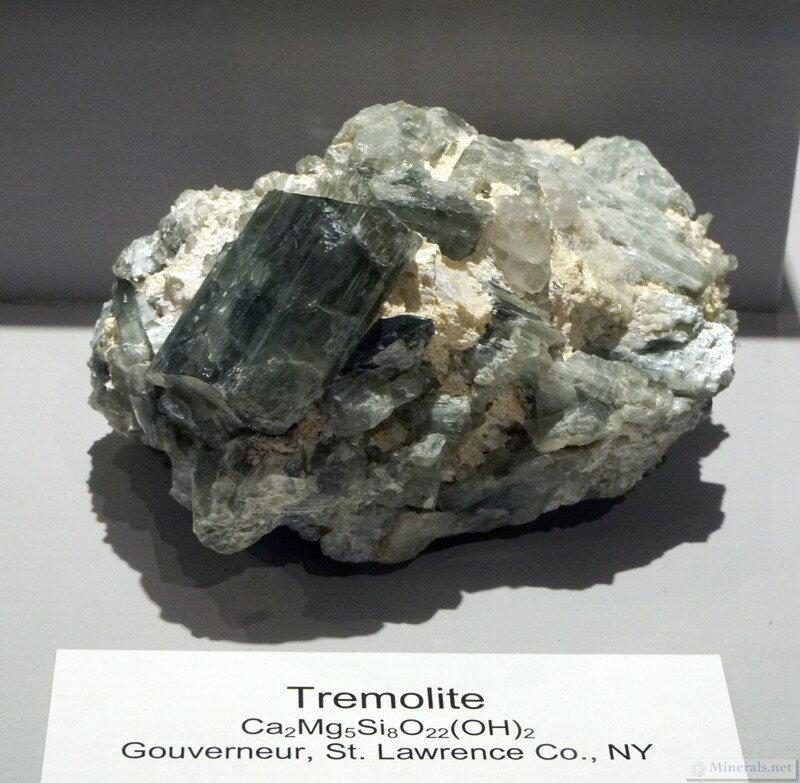 The museum has the world's largest and most complete representation of New York State minerals, as well as the largest public exhibit of minerals specific to New York. 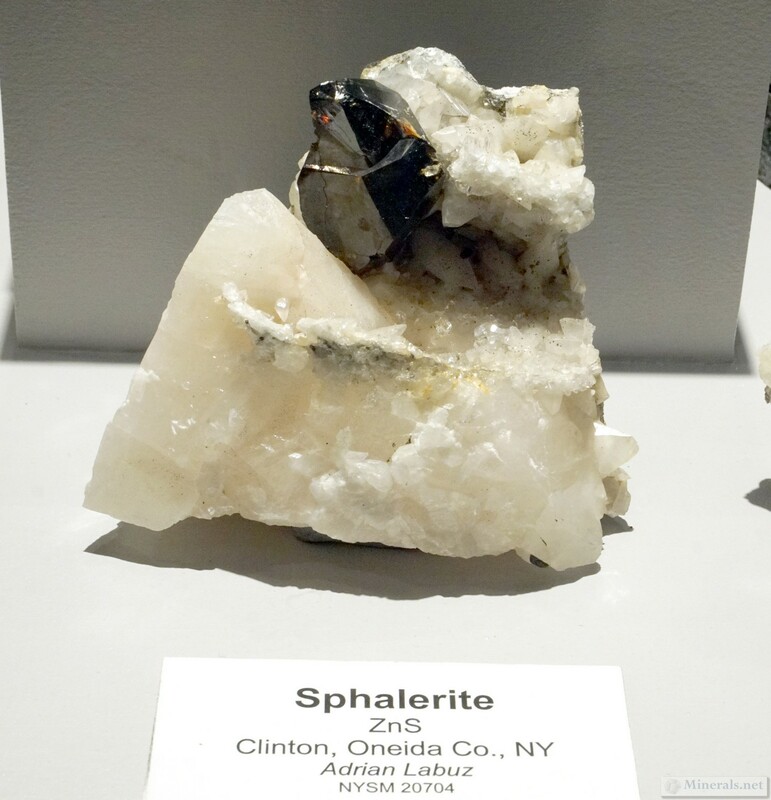 It has a large mineral hall, with a public displays showcasing some of exemplary minerals from New York state. 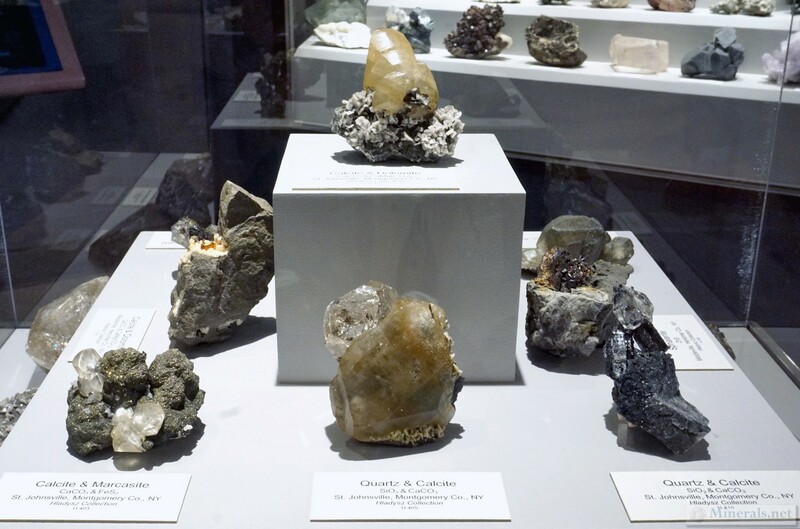 The display specimens have been selected based on their significance and aesthetics. 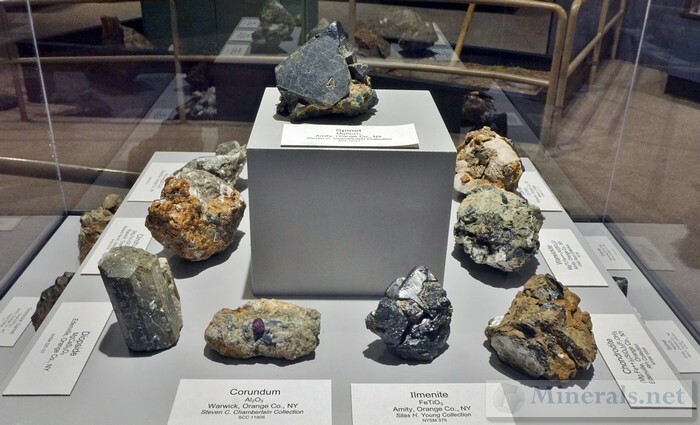 The exhibits are broken down by several different categories or collections. 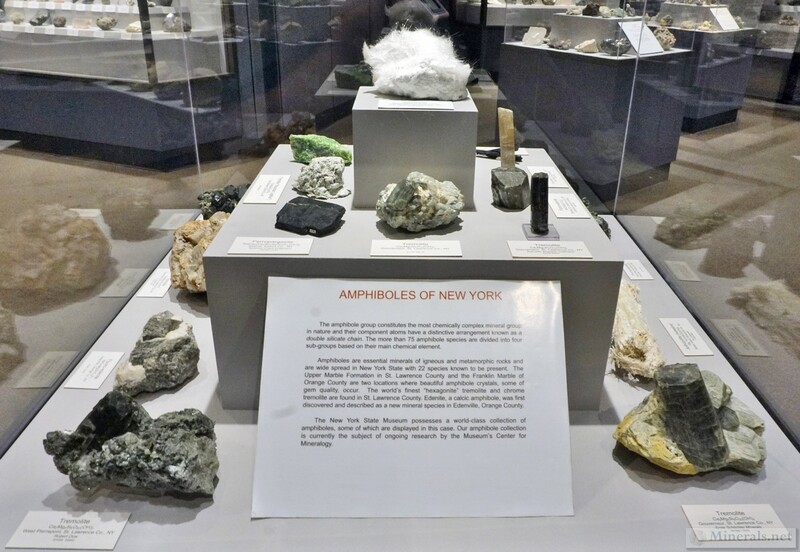 Some examples of themed displays include Minerals of New York City, minerals of the Adirondack region, minerals of the Hudson Highlands, pegmatite minerals of New York, amphiboles of New York, and minerals from the Oren Root collection. 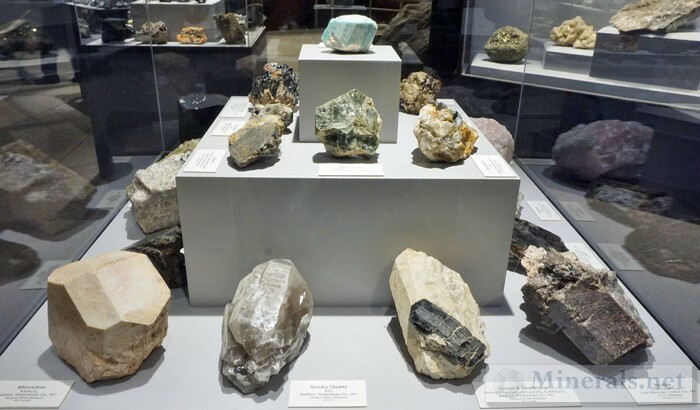 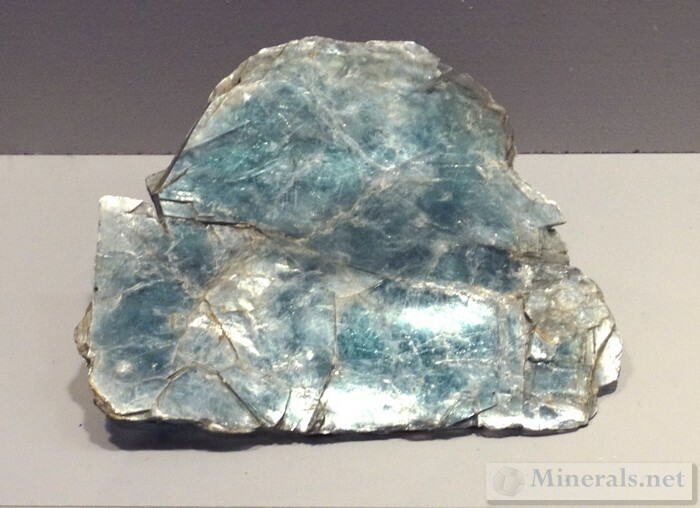 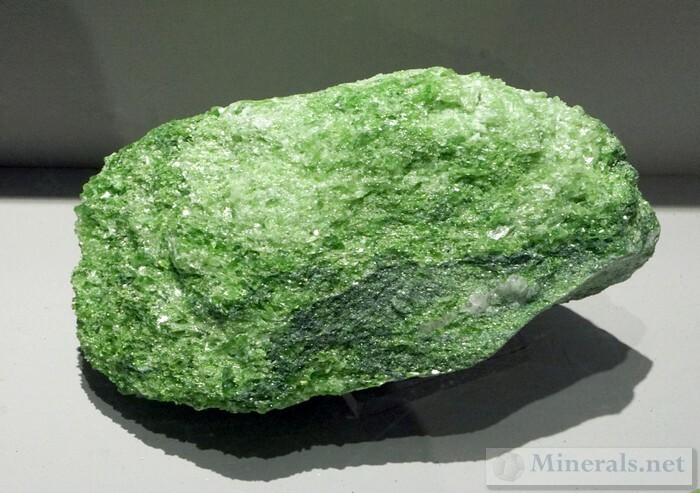 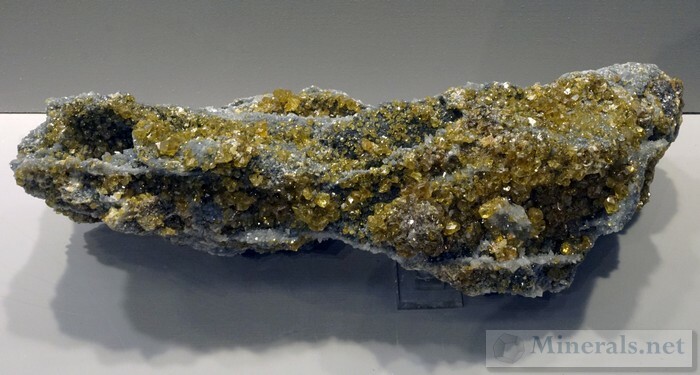 In addition to the minerals on display, the museum also has a very large collection in their private vaults that is not visible to the public. 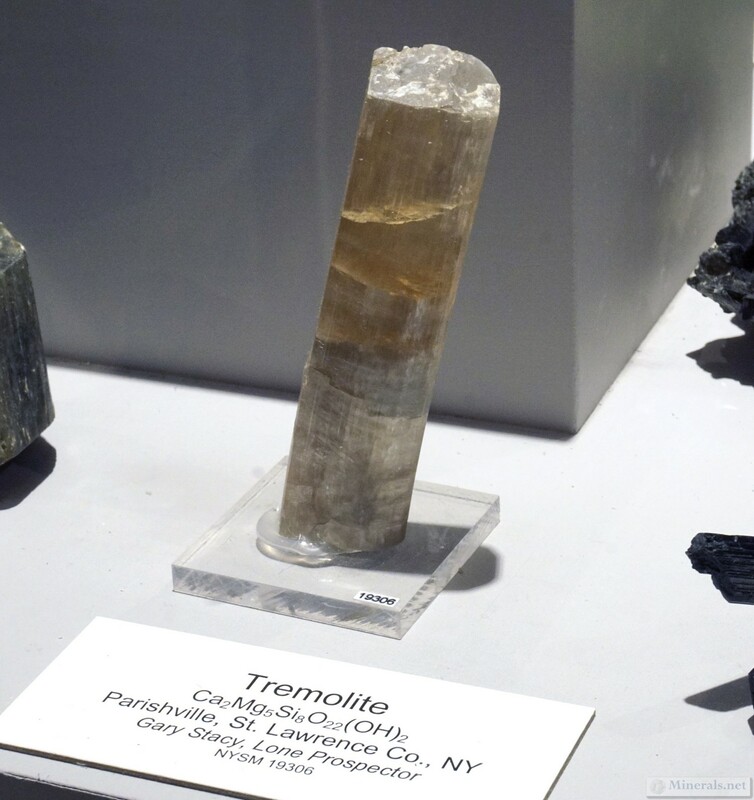 The entire collection totals about 35,000 specimens, with more than 11,000 minerals of New York; the remainder being worldwide specimens. 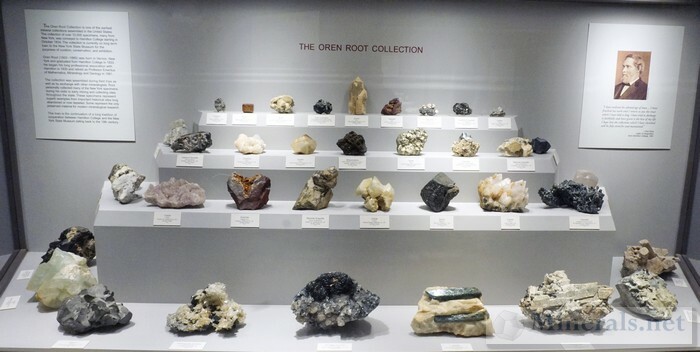 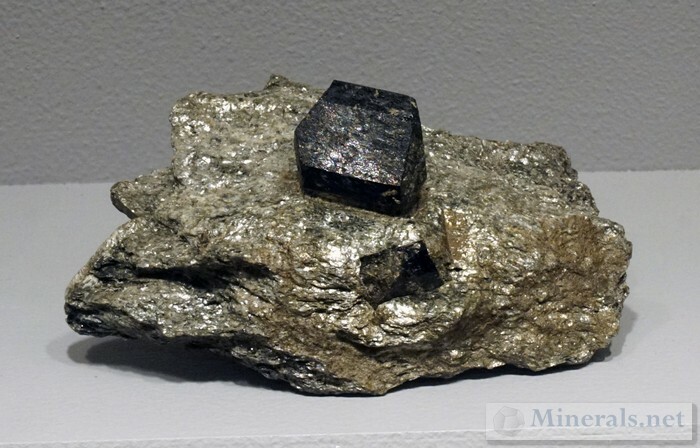 The museum is not well-known among many mineral enthusiasts, due to its lack of representation and marketing within the significant mineral shows and events. 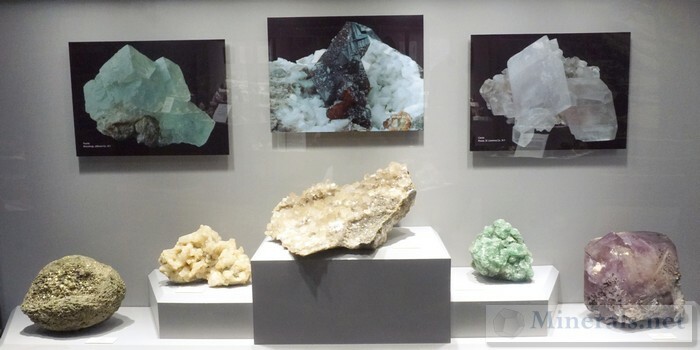 However, visiting this museum is highly recommended, especially for regional mineral collectors. 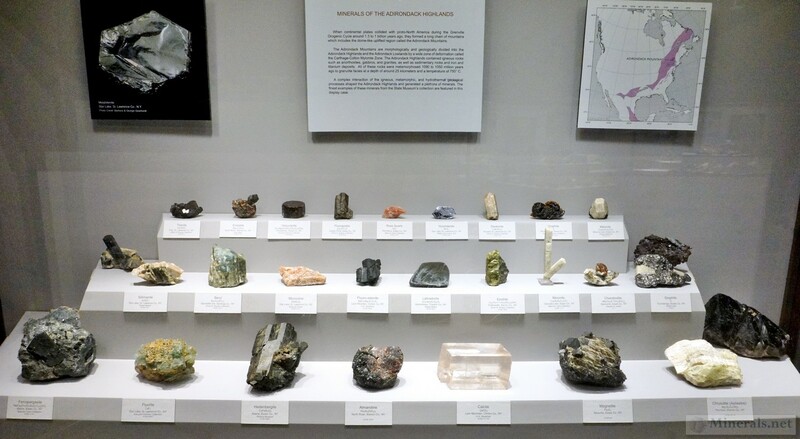 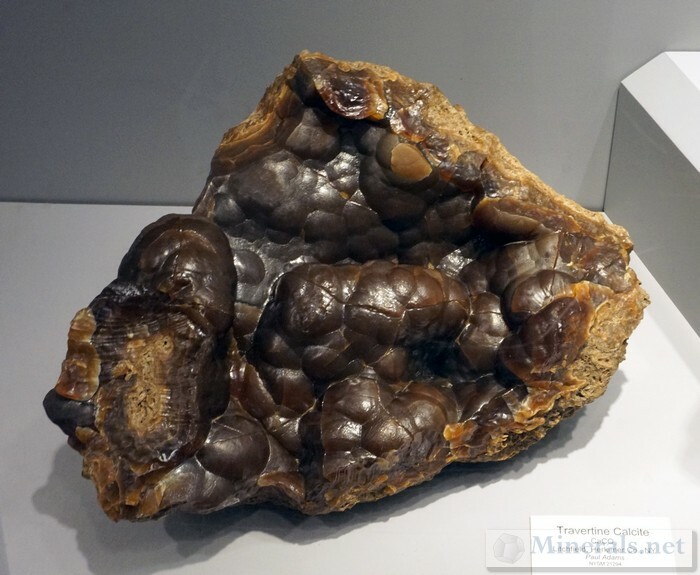 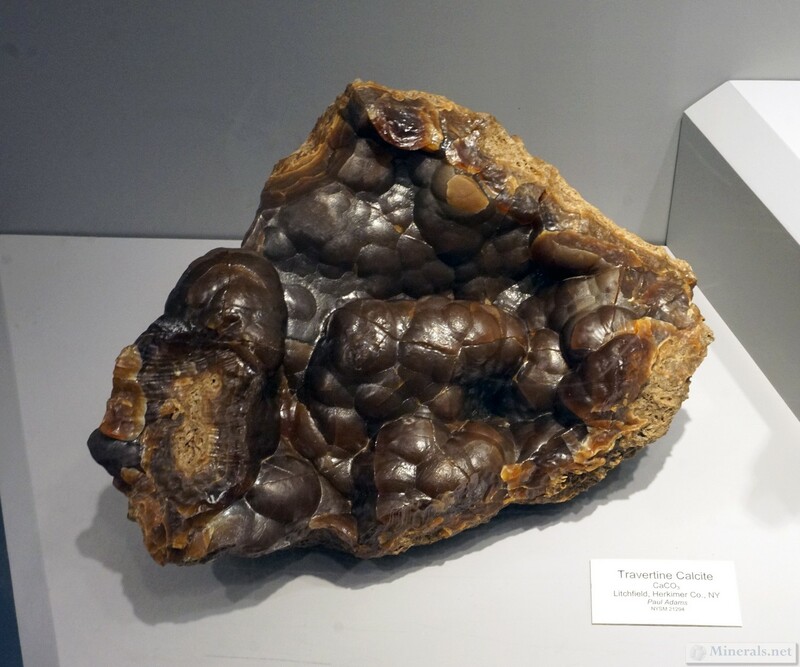 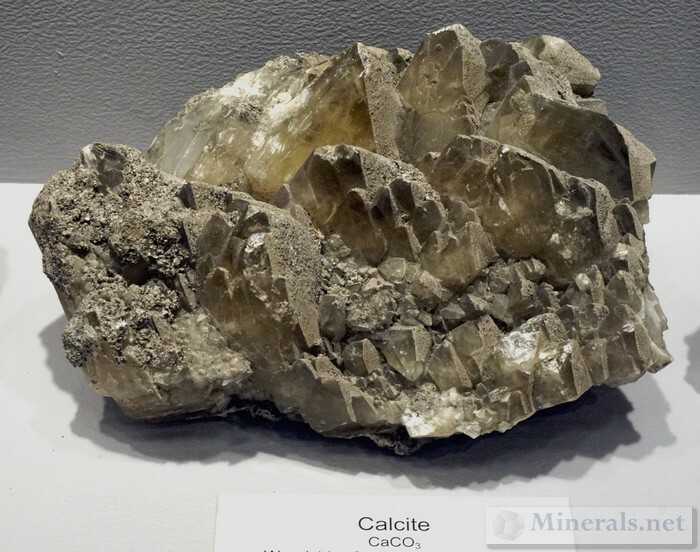 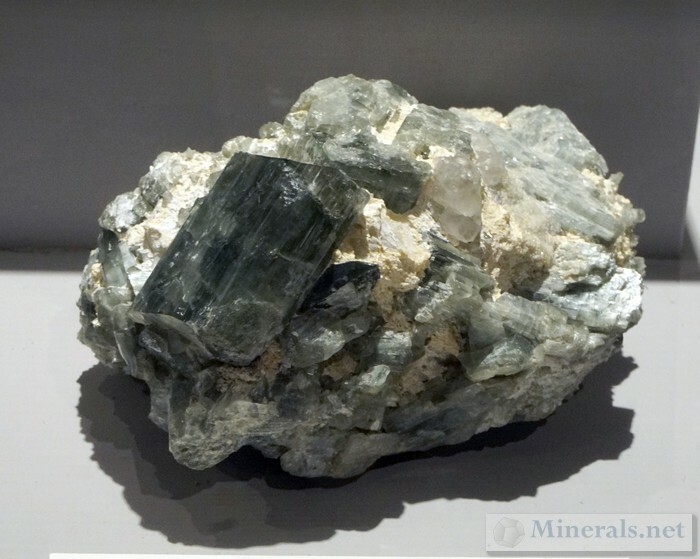 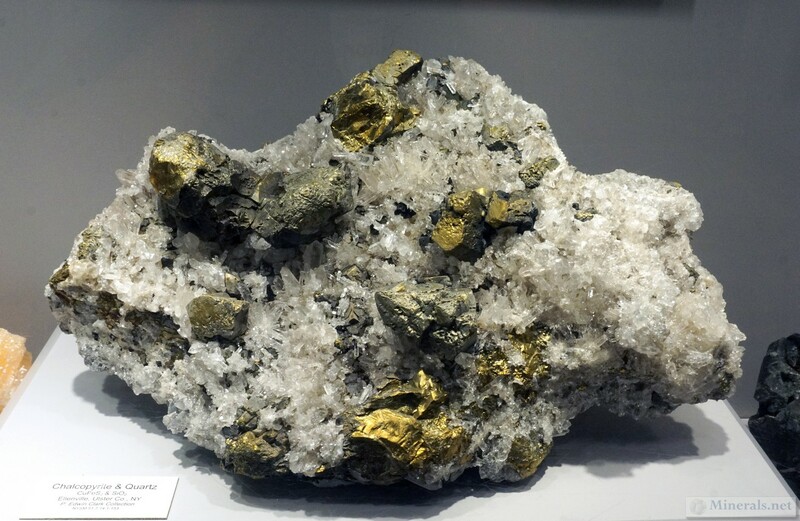 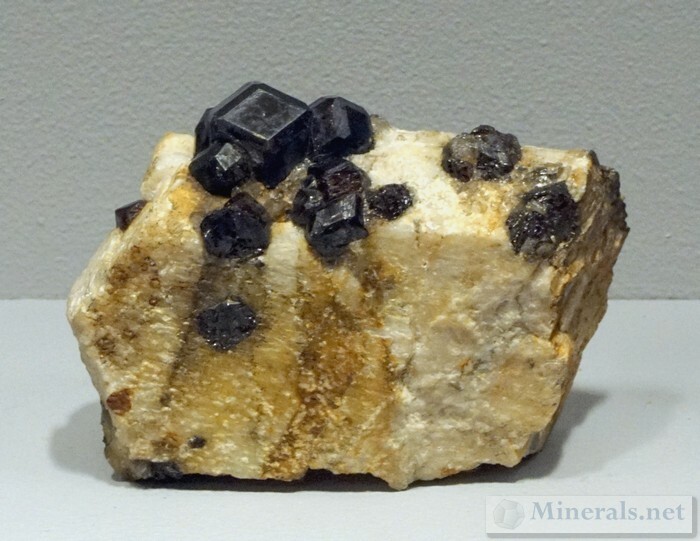 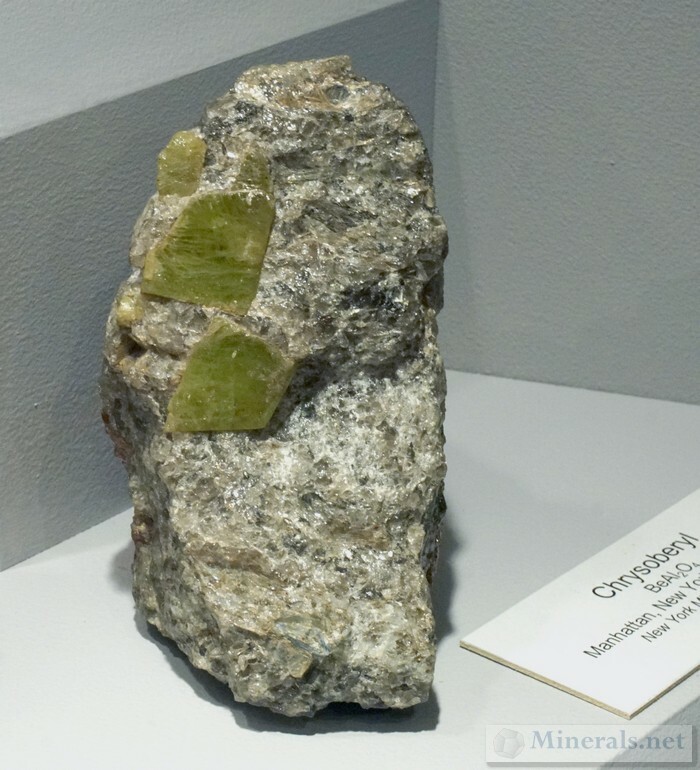 In addition to the significant mineral collection displays, there are many other interesting exhibits and sections within the museum that are worth visiting. 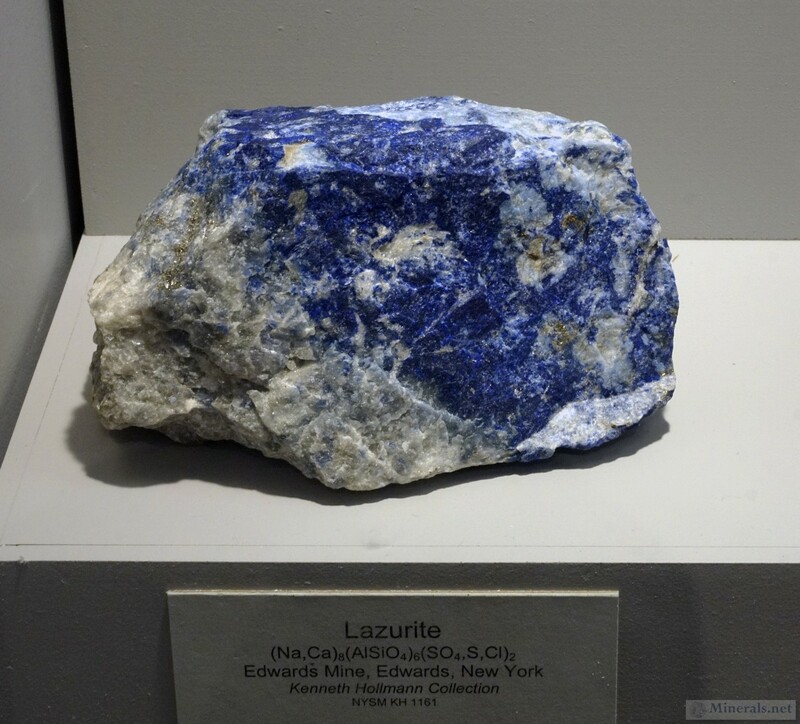 You can now view our September 2016 newsletter online. 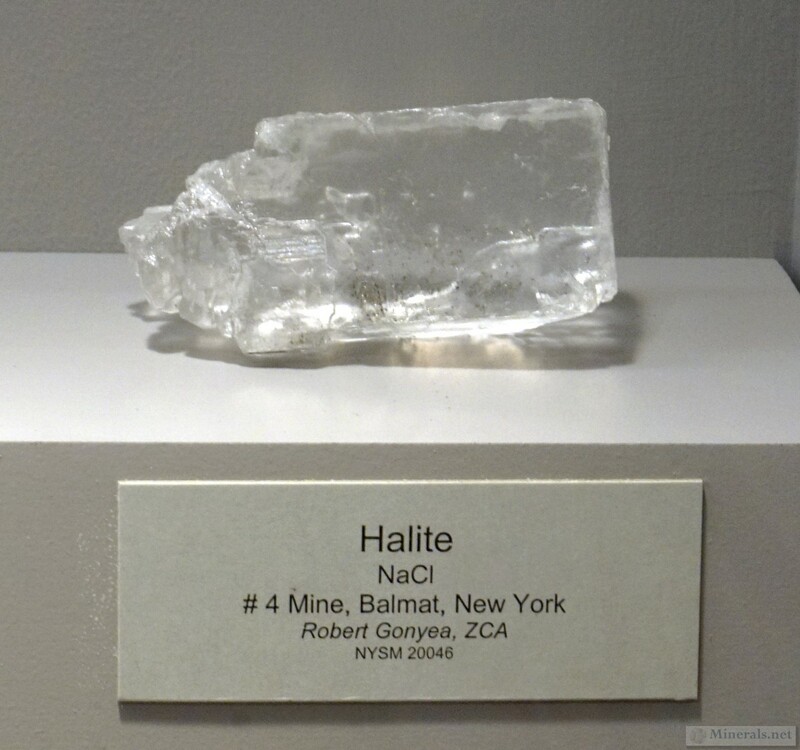 Please click the image below for the larger version.